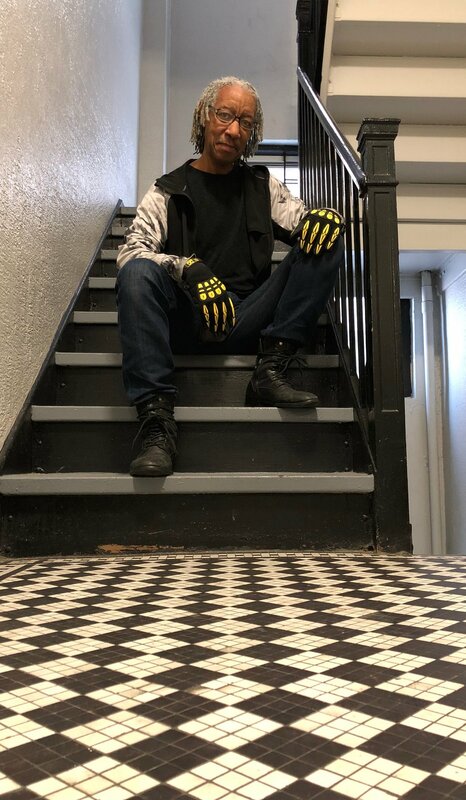 BROOKLYN, NY — January 2, 2018 – Gig Gear LLC, maker of Gig Gloves — protective work gloves designed specifically for music and audio production pros as well as all other live event and entertainment production professionals — has announced it has added legendary percussionist, producer and educator Bashiri Johnson to its artist roster. Johnson has worked with some of the biggest names in music, including Michael Jackson, Beyonce, Aretha Franklin, Barbra Streisand, the Rolling Stones and Madonna. Owner of The Lab recording studio in Brooklyn, New York, Johnson’s music has been featured in many commercials, films, television shows and video games. Johnson also owns record label and production company Life in Rhythm Media. When Johnson’s on the road with his duo Rhythm Healing, he makes sure to always bring his Gig Gloves with him to protect his hands from the rigors of touring.